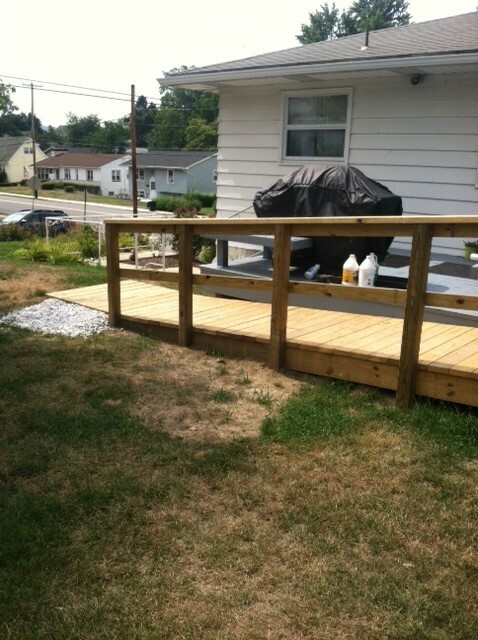 Structural repairs and staining to a back deck plus a walk-in shower for a beloved local veteran and his wife who have long served the community themselves. A wheelchair ramp and backyard shed repairs for a former TV cameraman and lifelong Scrantonian who now spends the bulk of his time caring for his disabled wife in the home they have shared for 27 years. A new coat of exterior paint and light landscaping for new homeowners with a young daughter who are struggling with needed renovations on a limited budget. These are just some of the highlights of NeighborWorks Week 2016, an ongoing partnership project with the national GroupCares youth-ministry organization. 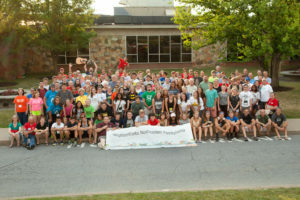 This year’s event, which saw more than a hundred youth volunteers and their adult leaders arrive in Scranton from up and down the East Coast, took place from July 4-11 on the west side of the city for the third and final year. Next year, the project will serve a different part of the city. 17 are age 65 or over. Four are U.S. military veterans. The full scope of repairs and renovations also included exterior and interior painting – two full exterior jobs in addition to multiple partial projects – weatherization of doors and windows, one full deck replacement, basement waterproofing and weeding and landscaping work. NeighborWorks Week was established in 2010 as a way to offer a range of services to qualifying homeowners in underserved neighborhoods and has proven a partnership success with meaningful, significant impact. Completed 42,000 total volunteer service hours on project sites throughout Lackawanna County, which equates to an estimated value of $883,000 in volunteer labor. 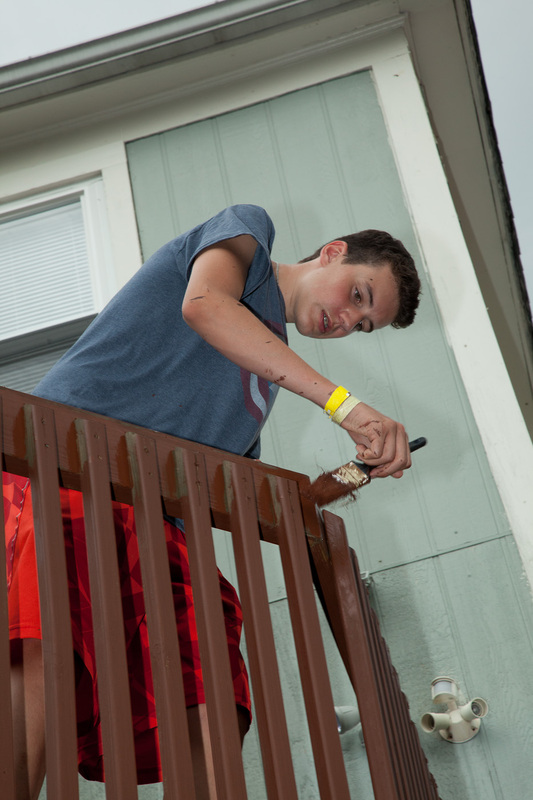 Completed needed repairs for 211 homes in Lackawanna County, serving hundreds of homeowners and their family members. NWNEPA recognizes two distinct, intersecting needs in Northeastern Pennsylvania that will have a deep impact on the region in the next five to 10 years, and they are aging and deterioration of homes and the aging adults who live in those homes. The average area home was built in the early 1940s, and most homes from that era do not adequately serve today’s homeowners. Nearly 20 percent of Northeastern Pennsylvania homeowners will reach 65 or older in the next five years. As more adults continue to age, NeighborWorks NEPA has recognized a clear need to ensure they have safe, healthy housing that supports independent living for as long as possible. To that end, this year NWNEPA incorporated new safety and health measures into its overall Home Matters Repair Initiative programs and into its signature events such as NeighborWorks Week and Paint The Town. This year, 50 homeowners received a free exterior motion-detecting, solar-powered security light installation, and at least 10 homeowners received home repairs and modifications critical to health and safety. The light installations were part of Light The Town, a companion initiative to Paint The Town, and were made possible by several key funders, including The Willary Foundation and PPL Electric Utilities. The key aging-in-place project, the rip-out of an old, hazardous bathtub and shower and the installation of a new, walk-in shower unit in the home of Eugene and Louise Passarella, was made possible by a $3,000 gift from the Home Depot Foundation as well as funders who supported Project PAR and those who supported or participated in NWNEPA’s first-ever rappelling fundraiser, Over The Edge Scranton, in June.